HR and IT are 2 departments that don’t typically go hand-in-hand. But could having them work together be the key to increased productivity? Combing HR and IT allows for better inter-departmental communication, and ensures new hires have the needed technological skills to be successful. 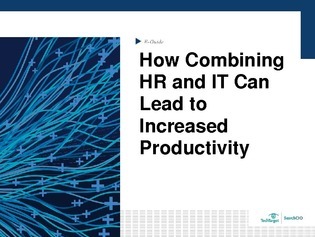 Download this expert guide to see how 3 organizations—ranging from 50 employees to over 6,000—benefitted from combining their HR and IT departments.